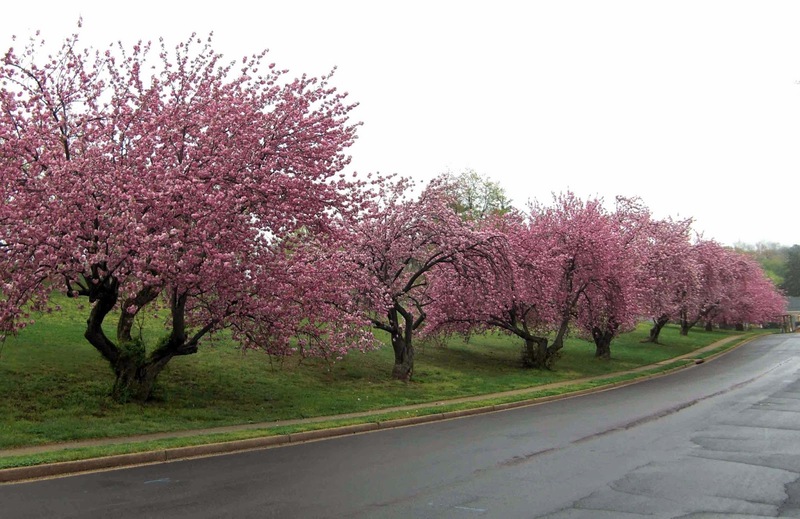 The Japanese cherry trees that line the Tidal Basin were at their peak last weekend and then fell victims to the rain and wind. Now it is time for their late blooming cousins to show off their sturdier, pinker blooms. A row of them lines one side of a local middle school. Although these fine trees are in their prime, they will be cut down as soon as construction starts on an elementary school that will share the property. How many students have walked under those trees, reveling in the surrounding pinkness, or have stood under them in wonder as the petals floated down around them? Now they are victims of cost efficiencies. Goodbye, beautiful cherry trees.